Let's turn back the clock and meet our relatives and the people who lived in Penmon over 100 years ago and earlier decades. Why not also refer to the Chronology link for the area, to see what was happening in the district at the time? If you have any family connections with people listed here, please get in touch via the guest book or e-mail. I would love to hear from you. Discover some of the history behind this beautiful area. This is a page for interesting letters, memories or photographs relating to the Penmon area. of bravery between 1831 and 1915. Here we record the families who ensured that the light never went out for those approaching the Menai Straits by sea. Miss Grace Owen of Tros y Marian enumerated the district of Penmon in 1901. Bryn Mawr housed Thomas Rowlands 43, an unmarried farmer and his spinster sisters Ellen 57, Jane 55, and Elizabeth 48. He employed 17 year old cattleman John Owen. All were born in Penmon and spoke both English and Welsh. Hefyd ei briod Ellen 1874 - 1947.
a'u hun mor dawel yw"
Penmon born widower John Evans 78 farmed Tyddyn Crwn with daughters Grace 47 as cook and Sarah 33 as housemaid. The daughters were born in Llanddona and all spoke Welsh only. "A'i hun mor dawel yw". "Yn hyn a llodd hon, hi ai gwnaeth". Cwsg a gwyn eich byd". Bilingual retired farmer Robert Williams 76 of Penmon lived at School House with his wife Grace 55 of Llanddyfnan. All spoke Welsh. ROBERT WILLIAMS Tan y Fron, Penmon. "Gweithiwch allan eich cadwriaeth eich hunain." Limestone quarryman John Roberts 46 of Llangoed and widowed domestic housekeeper, Catherine Jones 40 of Llangian lived at Pwll Crwn Bach. Robert was bilingual. John Williams of Pembrokeshire writes; My g.g. grandfather was also a Robert Williams (see entry above on School House), the son of a Black Point Pilot called John Williams. who on retirement lived at Pwll Crwn Fach. 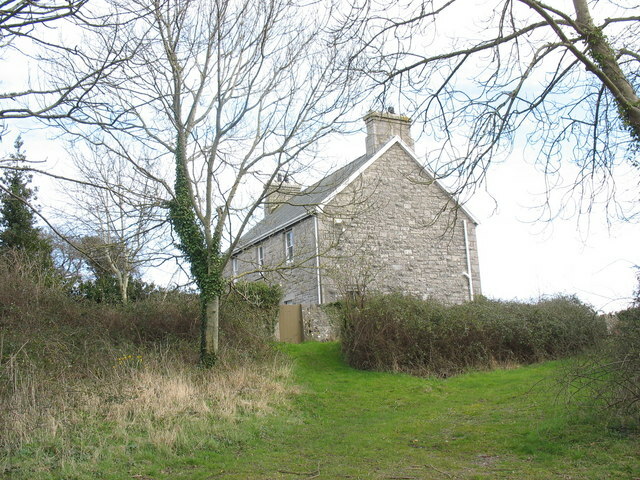 The various Williams and Roberts family members at Pwll Crwn Fach were John Wiliams' descendents. For example the John Roberts living there in 1901 was his grandson, who was the son of Robert and Jane Roberts. Jane Roberts being the daughter of John Williams.John Roberts and his siblings were all born in Llangoed or Penmon. As a child he lived in Penmon with his parents who were at Graig Isa in 1851 and Pen Fron Bach in 1861. The note with the photo just says John Roberts and his daughter, who I assume is the child and not the woman. I wonder of he married the "Housekeeper", although the woman looks too young to be the housekeeper who was already 40 in 1901, and is certainly too old to be his daughter if he was single in 1901! Another limestone quarryman, Hugh Parry 43 of Pentraeth lived at Pwll Crwn, with his wife Margaret 51 of Llaniestyn with daughters Mary 18 a general servant and Kate 17 a dressmaker, both born in Penmon. Hugh spoke Welsh and the ladies could converse in both languages. a fu farw Ebrill 9 1926 yn 77 mlwydd oed. "Au hun mor dawel yw". a fu farw Hydref 3 1937 yn 82 mlwydd oed. John Williams 32 farmed Tan y Fron with wife Jane 38, daughter Gwladys 6, son Robert 4, and daughter Elizabeth J.8 months old. The family were from Penmon apart from Jane who was born Llanddyfnan. Limestone Quarry Agent George Fingland 22 of Scotland was boarding with them. He spoke English. Working on the farm were Lydia Roberts 18 a domestic servant from Llanddona, John Ellis 21 a carter from Llaniestyn and John W. Jones 14 a veterinary agricultural servant of Llangoed. Lydia spoke Welsh and the two Johns spoke both languages. John Williams of Pembrokeshire writes; George Fingland, as far as I have been able to work out, married first a Sarah Ann Williams from China House (A general store in Llangoed) who was the granddaughter of a Rowland Williams of Minffordd, Llangoed, who was the older brother of Robert Williams, Tan y Fron. William Williams, who was a son of Rowland, married an Elizabeth Bowen (from Pembrokeshire) who was the daughter of Henry Bowen (from St Davids!) who was the lighthousekeeper at Black Point. After his first wife died, George Fingland appears to have married Margaret M Roberts, who was also a daughter of Tan y Fron. George Fingland died in Glasgow in 1946, but is also buried in Penmon. He was living at Flagstaff when his first wife died in 1925. James M. Sunners 50, an engine fitter lived at 1 Dinorben Cottage, with his wife Mary C. 43 and daughter Annie 19, domestic servant and son Henry 2. All were born in Liverpool and spoke English. Next door to them, at 2 Dinorben Cottage we find Edwin Whitefield 30 and his wife Catherine 29. He worked as a gardener, but with no information relating to where they were born. Both spoke English only. Pen Dyffryn housed David Roberts 57 a widower and retired draper of Llangoed and his domestic servant Ann Parry 40. Both were bilingual. Estate Agent and J.P. in County Cork, William M. Preston 56, who was born in Ireland, was head of the Lleiniog Castle household. His wife Blanche M 39 came from Charlton near Woolwick. Children William F. A. 4 and Blanche M.G. 3 were Penmon born, but John P.B. who was under 2 months old, was born in Woolwick. All spoke English. The housemaid at the Castle was Silly (Jilly?) Taylor 16 from Saltash, Cornwall, she spoke both languages but the remaining employees spoke English only. Clara G Wyllie 23 from Ruyton XI Towns was a parlour maid, Annie Millington 24 a laundry maid born in Sandbach, Mary Conneil 48 a cook from Liverpool, Emily M Farion 25 a nurse from Suffolk and Josephine Jones 19 a nursery maid from Rhostyllen. Glan Llyn was farmed by spinster Jane Davies 46 of Penmon, with agricultural labourer William Edwards 16 of Llangoed. Jane was bilingual. Joiner Owen Evans 46 of Beaumaris lived at Bryn Afon with his wife Elizabeth 46 of Llanfihangel. Their niece Edith Sale 16, who was born in Liverpool, worked as dressmaker. All were bilingual. Tros yr Afon was uninhabited. Retired farmer and widower William Williams of Beaumaris lived at Ty Newydd. Housekeeping for him was 40 year old Mary Jones of Penmon. Both spoke Welsh. Living at No 1 Penfron Terrace was Henry Hughes 54, a house joiner from Beaumaris. His wife Jane 44 came from Llangoed. Their two sons Lewis Hughes 18, a mason's bricklayer and David H Hughes 17 a gardener were born in Liverpool. The family moved to Llangoed where son William Hughes 13 was born, and came to Penmon a couple of years later where daughter Jane 10 was born. The family was bilingual. Next door at No 2, lived widow Jane Williams 79 and her son Thomas 31 a widower, and limestome quarry labourer, both of Llangoed. Also resident with them were Jane's grandchildren Elizabeth Jones 25 and Jane Pritchard 9, both of Liverpool. All spoke Welsh. William Eccles 30, also a limestone quarry labourer from Hoylake lived at No. 3 Penfron Terrace with his wife, Alice 47 and Bishton born. Messenger David Williams 58 of Pentraeth boarded with them. The men were bilingual and Alice spoke English. Another quarry labourer, Owen Jones 55 of Holyhead lived at No. 4, with wife Margaret 47 of Llangoed. Nephew Hugh Hughes 15 and niece Mary Hughes 11, both of Llangoed made up the household. No language is recorded against Margaret, the family spoke Welsh. Ioan Jones 28, quarry man, wife Hannah 26 and daughters Gwendolen 5 and Ceinwen 2 were resident at No 5 Pen Fron Terrace. Parents were bilingual, children spoke Welsh, and all were born in Minera, Wrexham. At No 6, William Williams 35 of Llanddona, another quarryman, lived with his wife Jane 29 of Llangoed. Son Richard O. 4 and William's mother in law Mary Edwards 55 were also Llangoed born. All spoke Welsh. Living at Pen Fron Bach was another limestone quarry man, Richard Owen 48 with his wife Catherine 49 and children Ellen 20, quarryman Richard 17, Catherine 14, Mary 11 and 8 month old Hannah E. All came from Amlwch and were bilingual apart from Welsh speaking Ellen. a fu farw Chwe. 28 1922 yn 69 mlwydd oed. I gadarn nerth ail godi'n iach". a fu farw Ebrill 22 1934 yn 85 mlwydd oed. ar y mor Meh. 6 1942 yn 31 mlwydd oed. "Dros wlad ei dadau yn yr ymgyrch fawr". Ellen Evans 54 was in the grocery business and lived at Pyramid House. She came from Gaerwen. Her general servant Jane Jones 14 was Bangor born. Both were bilingual. Pen Park housed widow Ann Williams 70, living on her own means and her spinster sister Miriam Jones 68. Both spoke Welsh and were born in Llangoed. Also living on his own means was Henry Jones 57 also of Gaerwen, at Ty Du. His wife Ellen 56 came from Ardwick, Lancashire. They had an adopted daughter Mary Hughes 21 of Penmon and domestic servant Lizzie Owens 18 from Amlwch. All were bilingual. who departed this life Sept 10th 1903 aged 59 years. a house not made with hands. Eternal in the heavens". II Cor v 1.
nor the hour wherein the Son of Man cometh". Matt XXV.13. 1 Tai Lawr housed Mary E. Jones 60 of Liverpool. She was a widow. Her son Edward 25 was a limestone quarryman born in Llanfaes. Both were bilingual. Next door at No. 2 Tai Lawr lived spinster Eliza Jones 47, a laundry maid, her sister Ellen 42 and niece Elizabeth E. 15 months. Eliza was the only bilingual person and all were born in Penmon. Hugh Hughes 23 of Llangoed was head of household at Pen Gors. He also worked at the limestone quarry. His wife Hannah 22 was born in Bodffordd. Both spoke Welsh. Tyn Caeau was occupied by Thomas Jones 50 of Llansadwrn, wife Elizabeth 49 born in Penmon, as were their children John S. 12 and Robert 7. Thomas was another limestone quarryman. Porth Y Gog housed agricultural labourer William Williams 55, a widower born in Llangoed. His daughter Mary E Thomas 21 born in Beaumaris and her husband Owen 21, of Llanerchymedd lived with him. William spoke Welsh, Mary and Owen were bilingual. Owen Owens 49, quarryman born in Llanddona lived at Llain Wen with his wife and children who were all born in Penmon and bilingual. Owen spoke only Welsh. His wife Ellen 43, cared for their children Robert T. 18, a joiner, Maggie A 13, Owen 11, Mary and Thomas both 8, Willie 7, Henry 5, Ellen 3 and Elizabeth 2 months old. hwn a fu farw Ionawr 10fed 1911 yn 59 mlwydd oed. a fu farw Ionawr 14eg 1940 yn 82 mlwydd oed. yr hon a fu farw Ebrill 23ain 1878 yn 1 mis oed. yr hon a fu farw Mehefin 16eg 1913 yn 62 mlwydd oed. yr hwn a fu farw Rhagfyr 7ed 1919 yn 67 mlwydd oed. "Byddwch ffyddlawn i'r hwn a ddioddefodd fwy a chwi a gewch goron bywyd"
Widow Ellen Roberts 49 of North Norton lived at Pentir with sons Thomas 27, a mason born in North Workshop, John 15 and Harry 10 both of Penmon. Boarder George Dodd 25 of Christleton, Cheshire worked as a quarryman. All were bilingual apart from Ellen who spoke English. Jean Davies of Llandeilo recalls her father, Owen John Roberts (left) of Cae Merddyn mentioning a moment during the Great War, when he was at the front, seeing a soldier with a bad limp, outlined nearby. He thought he recognised the shape and movement, and called out "Pentir! Pentir!". Sure enough, 'Pentir' turned around. It was a lad from the same village as him in Penmon, Angelsey. Pentir was his home, and he was always called by that name. They had a few minutes to forget their battle worries as they reminisced about home. Hugh Thomas 81 and his wife Jane 63 lived at Refail with daughter Grace 42 who is noted as dumb, and son William 20, who with visitor Thomas Williams 20, was a limestone quarryman. The parents spoke Welsh and both Williams were bilingual. All were born in Penmon. daughter Annie, born in Penmon. Erected by his dear children. William Pritchard 46 left worked as a pilot at Black Point and came from Llangoed, as did his wife Elizabeth 43. The children were all Penmon born; Henry 11, William 4, and Elizabeth 3. All were bilingual. Coxswain William Pritchard (above) was awarded the Silver medal from the RNLI for his outstanding courage during an attempted rescue. On the 26th. October 1909 the ketch "William" of Liverpool, was reported to be in difficulties in a full easterly gale. In violent, breaking seas, Coxswain Pritchard took the lifeboat straight into the mass of foaming white water. He found the ketch almost totally submerged, with no sign of her crew. The lifeboat was then flung ashore and her crew scrambled to safety through the heavy surf, having been at sea for 15 hours. Less than two months later, on the 21st. December 1909, Coxswain William Pritchard took part in another fine rescue, for which he was awarded his second Silver medal. That night, the ketch " Willie " of Liverpool, was wrecked on the lifeboat slipway at Penmon. In a full gale, Mr. Pritchard, at great personal risk, waded into the pounding surf and threw a line to the shipwrecked crew, all 4 of whom were then hauled to safety. Charles Goodman Roberts 49 a gardener, born in Beaumaris, lived at Cae Merddyn (below), with his wife Maggie Goodman Roberts 44, bricklaying son Jabez Lloyd Roberts 18, Charles Roberts 14, Katie Goodman Roberts 11, and Owen John Goodman Roberts 6. Maggie and their children were born in Penmon. All spoke both languages. Hugh Jones 29 of Gaerwen lived at Wylfa. He was also a quarryman. Wife Ellen 27 and children were all born in Penmon; Humphrey was 5, Maggie 4 and Mary E 8 months. All spoke Welsh. Ordinary labourer Humphrey Jones 57 of Llanedwaen lived at Cae Berllan with his wife Mary 58 of Cwm Y Glo, son William 21 who worked at the quarry, daughters Fanny 16 and Elizabeth 9, all of Penmon and Welsh speaking. "Mi a ymdrechais ymdrech deg, mi a orphenais fy gnyrfa, mi a gedwais y ffydd". yr hwm a fu farw Medi 22ain 1911 yn 32 mlwydd oed. yr hon a fu farw Ionawr 25ain 1915 yn 72 mlwydd oed. a fu farw Gorff 28 1931 yn 23 mlwydd oed. "Gyda Duw canys llawer iawn gwell ydyw." a fu farw Ebrill 1 1950 yn 69 mlwydd oed. Living at Caim was William Jones 26, a limestone quarryman from Amlwch, wife Elizabeth 24 and son Thomas 3 months, both of Llanbedrgoch. All spoke Welsh. Widow Ellen Roberts 50 of Llangoed also lived at Caim with daughter Jane 20, son John 19, a limestone quarryman, Kate 17 and Richard 12. All spoke Welsh and were born in Penmon. John Jones 38, working as joiner with K.E.R.A. Militia also lived at Caim with wife Mary 33 and children Margaret 7, Mary E 5, Joseph 3 and Humphrey 1. All bilingual and born in Penmon. Bryn Caim housed Joseph Harding 34, quarryman from Manchester, wife Elizabeth 28 from Preston and boarder Thomas Williams 68, quarryman of Anglesea. The couple were English speaking, but Joseph was bilingual. Also at Bryn Caim was Humphrey Roberts 29, of Llanddona, limestone quarryman, with his wife Elizabeth 29 and son John 2 both from Penmon, they spoke Welsh. Bilingual Edward Lloyd 38 boarded with them and also worked in the quarry. Bryn Caim also housed Welsh speaking Thomas Roberts 31, quarryman of Llanerchymedd and his bilingual wife Elizabeth 33 of Amlwch. Beudy Y Rychain had mason John Williams 45 of Penygarnedd and his family living there. His wife Ann 45 and children were all Penmon born. The eldest living with them was Ellen M. 13, Anne 11 and Richard 8. Ezra Williams 19 boarded with them. He worked as a carter at the limestone quarry and was Penmon born. All were bilingual. The Menai Lighthouse is recorded as 'Rendered to the Trinity House, London'. Gamekeeper Percival Joyce 30 of Collingbourne lived at Park with his Heathly born wife Elizabeth 35. Their son Percival W. 3 was born in Petworth. All spoke English. Evan Parry 31 a joiner of Llangoed lived at the Barracks with wife Mary 29 from Llanerchymedd, and children John H. 6, Mary J. 4 both born in Llangoed and Evan 1, born in Penmon. Owen Evans 39, who worked in the quarry, boarded with them. He came from Portdinorwig. All were bilingual. Part of The Barracks, Caim were uninhabited. A marble quarry manager lived at Glan Y Môr. George Brooks 38 came from Newport, Monmouthshire, his wife Florence 36 from Cardiff. Children Marjorie A 9, and John S 7, and visitor Blanche 33 were from Newport. The household spoke English, but had bilingual Mary Hughes 19 of Gwalchmai as a domestic Servant. Dr Anwen Jones writes; My father lived at Parciau (formerly Glan-y-Mor - the old quarry manger's house). He also stayed in the barracks as a young man, during lambing (he was a tenant farmer) and after he married he lived in Cynlais cottage (Penmon) for a short time before moving to Stanley St in Beaumars and then back to Penmon (Parciau). I left Penmon at the age of 11 but have very fond memories of playing on the beach, in the quarries and all sorts of places that we probably shouldn't have played! Fisherman Hugh Jones 54 of Llaniestyn lived at Gorad. His wife Mary 54 was born in Llangoed, like their children Thomas 16 a cattleman, David 14 and Rowland 11. All spoke Welsh. Also recorded as living at Gorad was widow Jane Owen 70 and son John O. Williams 13, both bilingual, born in Beaumaris. The Church is simply recorded as Church of England Penmon. Puffin Island had no inhabitants. This completed the Parish of Penmon for 1901. Many of the children pictured here at Penmon School in 1896 appear in the 1891 Census below, but who are they? Glan Llyn housed widow Jane Davies 79 of Llangoed and her Penmon born daughter Jane 36. Owen Evans 36 of Beaumaris, his wife Elizabeth 38 of Llanfihangel and niece Edith Salo 5 from Liverpool, lived at Tros yr Afon. Another household living at Tros yr Afon was that of mariner Richard Bulkeley 34 of Llangoed, which included his wife Elizabeth 37 abd his Sister Anne 16, both born in Beaumaris. Widow Jane Owen 60 of Beaumaris and her son Griffith 27, a domestic gardener born in Llangoed, lived at Weir. Weir was shared with John Williams 64 of Llangoed and his grandson Henry 18 of Penmon. Henry R. Mitchell 80 a land agent from Cork lived at Lleiniog Castle with his wife Mary B. 73, who had no occupation, and was born in Dublin. Henry's cousin William Preston 40, another land agent was born in Kildare. Jane Morris 61 was their cook, Jane Owen 35 their housemaid and Helen Williams 26 their dairymaid. The three employees are recorded as having been born in Wales. Born 1816 died on 6th December 1895 aged 79. "So He giveth his beloved sleep". PS CXXV.112. 1 Dinorben Cottage housed Samuel Wood, 35 from Bicester. He worked as a coachman groom. His wife Susan A. 28 came from Beaumaris, and daughter Miranda A. 1 was born in Penmon. 2 Dinorben Cottage had widow Mary Hughes 39 of Llangoed as head of the household. Her son Lewis 18 also of Llangoed worked as a farm labourer as did son John 17. He and the remaining children were born in Penmon. These were Ellen 9, Thomas 8, Hugh 6, Richard 4 and William 1. Ty Gwyn housed Thomas Williams 75 of Llangoed, a Collector of Rates and his Nevin born wife, Ellen 67. Elementary Schoolmaster Robert Roberts 35 and single of Bethesda lived at the National School. His mother Lydia Roberts 86 of Llandegai kept house for him, with domestic servant Mary Hughes 12 of Llangoed. Retired Pilot John Williams,68 a widower of Penmon lived at Pwll Crwn Bach. Nephew John Roberts 36, a gamekeeper of Llangoed and niece Jane Edwards 19, of Penmon who kept house, lived with him. Pwll Crwn Mawr housed Margaret I. Roberts a 42 year old widow from Llaniestyn and her daughters Mary Ellen 8 and Catherine 8 of Penmon. Thomas Evans 40, boarded with them. He was from Llandysilio. Robert Williams 66 of Penmon, farmed Tan y Fron with his Llanddyfran born wife Grace 44. Children John 22 and Mary A 17 were both Penmon born. General servant Catherine Hughes 15 and farm servant Owen Hughes 16 were both from Penmon, and servant Owen Willams 21 was from Llanddona. John Williams of Pembrokeshire writes; Robert Williams of the Old School House in 1901 was my g.g. uncle. He had farmed Tan y Fron, but by 1901 he had retired and his son John had taken over. On John's death Tan y Fron was farmed by Robert (always known in the family as Robin), and his sister Gwladys. The other sister Elizabeth (Lizzie) was a schoolteacher and also lived on the farm. There was another sister Grace who was born after 1901 and died in 1936. None of them married and the farm was sold to the Lloyd family in the 1970's, when only Elizabeth was left. She moved to a house in Rating Row, Beaumaris, and then to the Haulfre old peoples home in Llangoed. She died in 1992. Margaret 13, was born in Llangoed. yr hwn a fu farw Mawrth 18fed 1893 yn 80 mlwydd oed. yr hon a fu farw Mawrth 29ain 1897 yn 80ain mlwydd oed. yr hwn a fu farw Chwefror 6ed 1899 yn 52 mlwydd oed. Hefyd JANE ei anwyl ferch yr hon a fu farw Ebrill 8ed 1912 yn 67 mlwydd oed. Tyddyn Crwn was farmed by John Evans 67 and widowed. Sons David 28 a farm labourer, Isaac 37 a domestric servant, and daughters Ellen 24, a general servant and Sarah 23 were all Llanddona born, as were farm labourers Robert Roberts 23 and Hugh Williams 32. Farm labourer John Williams 19 was Penmon born. yr hon a fu farw Ionawr 4ydd 1915 yn 49 mlwydd oed. "Gostyngodd efe fy nerth ar y ffordd barhaol fy nyddiau". yr hon a fu farw Gorff 11eg 1923 yn 63 mlwydd oed. "Canys dy air di a'm bywhaodd". a fu farw Hydref 17eg 1944 yn 81 mlwydd oed. "Y graig ni syfl ym merw'r lli nesau at Dduw sydd dda i mi". Farm labourer William Williams 61 of Beaumaris and Elizabeth Jones 65 a general servant of Llangoed lived at Ty Newydd. Both were widowed. Henry O Hughes 44 of Beaumaris lived at Pen Fron Terrace with his wife Jane 32 of Llangoed. Their children were Lewis H, 8 born when the couple lived in Waterloo Lancashire, David W 7 born Liverpool, William 3 of Llangoed, and Jane of Penmon, who was recorded as under 1 month old on census day. Also at Pen Fron Terrace was retired quarry labourer Lewis Williams 75 of Llaniestyn, wife Jane 70 of Llnagoed, grandson Evan W Jones 18 a pupil teacher and granddaughter Elizabeth Jones 16 both of Liverpool. Another Terrace family consited of John Willams 35 a stone mason from Pentraeth, wife Anne 35, daughters Ellen M 3, and Anne 1, all Penmon born. Neighbour Henry Jones 25 of Llanfaes was a general labourer. His wife Ann 26 and daughter Mary H 1 were both from Llangoed. Lodgers Lewis Parry 51 and John Parry 45 were both of Beaumaris. Living next to them on Pen Fron Terrace was station engine driver Edward Thickens 50 from Montgomeryshire, as were his children Elizabeth 12 and Owen 9. Wife Ellen 50 was born in Beaumaris. Final residents at the Terrace were quarry labourer Owen Williams 25 of Llangaffo, wife Margaret 26 of Penmon. Son John O. 3 was born in Beaumaris. Pen Fron Mawr was occupied by Llansadwrn born Thomas Jones 40, wife Elizabeth 38 of Penmon and son John 2 of Llangoed. Humphrey Williams 64, a quarry labourer lived at Pen Fron with wife Anne 60. Both were born in Penmon. Another household at Pen Fron consisted of Ellen Evans 48, a grocer born in Gaerwen, and general servant Jane Jones 14 of Penmon. Retired engine driver Henry Jones 49 of Gaerwen lived at Ty Du with Manchester born wife Ellen 48.Living with them were David Hughes 15, a clerk, William Hughes 15 an apprentice joiner both of Penmon, and gerneral servant Ellen Roberts 17 of Pentraeth. Widow Margaret Hughes 74 of Llangoed, lived at Bryn Caim. 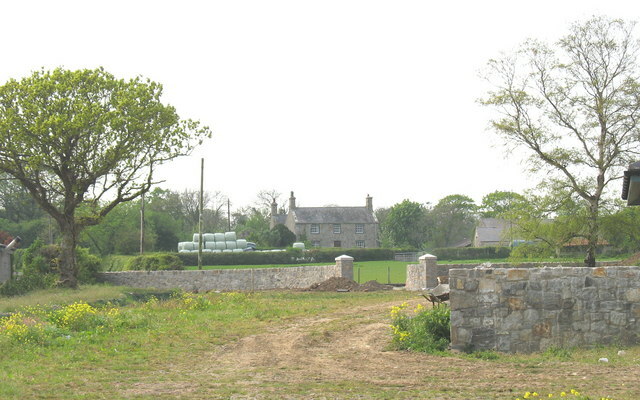 Wylfa housed William Baker 40 and his family. He labourerd at the quarry and came from Llanddyfran. His wife and children were all born in Penmon. Mary was 39 and children Ann 17, William 14, Margaret 12, John 8 and Mary 4. Dressmaker Margaret Jones 37 of Llangoed, resided at Caim Mawr. She is noted as being deaf and dumb. Also at Caim Mawr was Evan Roberts 36 of Llanfaes, wife Ellen 39 of Llangoed, and children, who were all born in Penmon, John 9, Jane 10, Catherine 7 and Richard 2. Quarry labourer William Willams 25 of Llanddona, wife Lydia 30 of Llanddyfran and daughter Anne E, under 1 month old of Penmon, lived at Caim. The middle household at Caim consisted of quarry labourer John Williams 28 of Penmon, with Ruth 26 of Llandefan and children Edward 1 of Penmon, and Deborah 2 of Llangoed. Another quarry labourer, Humphrey Jones 46 of Llanfair PG lived at Caim, with wife Mary 48 of Llanbeibio. The rest of the household were Penmon born. George 9, Fannie 6, Mary 5, Henry 3 and William 11. Widow Ann Roberts 69 of Llanllechid lived at Llain Furum with lodger William Jones 31, a quarry labourer of Penmon. Living on her own means at Bryn Caim was spinster Elizabeth Lloyd 53 of Penmon. Also at Bryn Caim was widow Margaret Rowlands, 79 of Penmon. Park housed Penmon born family Sarah Williams 43 a widow and her children Esther 16, Grace 14, Thomas 12, Sarah 3 and Margaret 1. Farm Labourer William Jones 68 came from Llangaffo. Charles Goodman Roberts 39 of Beaumaris, lived at Cae Merddyn with wife Margaret 34 of Llangoed, Joseph T. G. 11 of Beamaris, Jabez 7, Charles G. 4 and Catherine 1, all of Penmon. These are members of my family, and you read about them by following the links on the left hand side of the page. Mary Jones a widow aged 49 of Liverpool lived at Tai Lawr. Another household at Tai Lawr, consisted of Thomas Jones 74 and widowed of Colwyn, daughters Elizabeth 36 and Ellen 31 a general servant and granddaughter Mary 8 all of Penmon. General servant Mary Hughes 65 widowed lived at Pen y Groes with daughter Mary 35 who was deaf and dumb. Both came from Llangoed. Granchildren William O. 6 of Penmon, Hugh Jones 5 of Llantrisant and Mary J Hughes 11 months, lived with them. Tyn Y Caeau housed quarry labourer Hugh Parry 33, recently a widower, and son Robert both of Llansadwrn and daughter Margaret I. 9 months of Penmon. William Williams 46 and wife Jane 56, both of Llangoed and daughter Mary 10 of Beaumaris, lived at Berth y Gog. Game Keeper Owen Owens 39 of Llanddona resided at Llain Wen. His wife Ellen 33 and children Robert T. 8, John 7, Margaret A. 3, Owen 2 and Hugh 3 months, all came from Penmon. Quarry labourer Owen Thomas 38 of Llandegfan, wife Ellen 39 and daughter Mary 13, both of Penmon, lived at Tyddyn Rheinallt. Stone mason Rees Williams 40 of Caerhun lived at Pentir, with his Wife Sarah 33, son William J 10, both of Penmon and daughter Jane 8 who was born in Toxteth. John Williams of Pembrokeshire writes; Rees and Sarah Williams, who were at Pentir, are also relatives of mine. Sarah Williams was, I am pretty sure, a granddaughter of my g.g.grandfather John, the Black Point pilot who retired to Pwll Crwn Fach. Marble Quarry Cottage housed stone mason John Roberts 49 of Llangoed, wife Ellen 40, Margaret A 15 from Bangor, and Harriet 13, Winifred 10, John 5 and 2 month old Henry, all of Penmon. Above; Flagstaff Villa at entrance to Flagstaff Quarry. 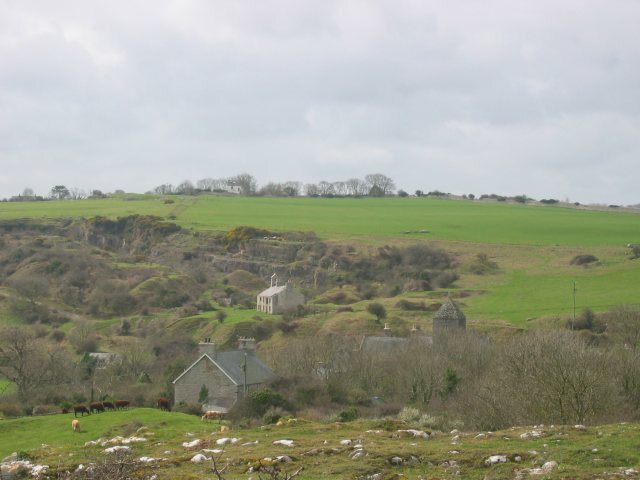 Lime stone Quarry Manager Samuel Spargo 37 of Cornwall lived at Flagstaff Cottage, with children Griffith J. 9 of Nevin, William J, 6, and Samuel 4 both of Llangoed and Robert 1 of Penmon. Martha Taylor 17 of LlanfairynNghornwy was visiting them. Jane Hughes 14 of Llangoed worked there as a domestic servant. who died June 30th 1892 aged 38 years. "In God have I put my trust". died MAY 1st 1935 aged 78 years. "The Lord is nigh unto all them that shall call upon Him". Refreshment Caterer Ellen Jones 66 and widowed lived at Beudy'r 'Rychain with son Owen 30, a joiner, both of Penmon. who died August 21st 1892 aged 31.
who died Dec 19th 1899 aged 76 years. "Blessed are the dead who die in the Lord". Gamekeeper and rabbit catcher Hugh Thomas 72 lived at Yr Efail with wife Jane Thomas 53, Margaret 25 a housemaid, and William 25, all from Penmon. Robert Roberts who had held the post of Coxswain since 1861 was awarded the Silver Medal for his outstanding skill and courage. On the 7 November 1890, the schooner Undaunted ran aground on the Lavan Sands and Coxswain Roberts immediately headed for the spot. Despite enormous seas, he took the lifeboat alongside and rescued the crew of 5 from the stranded vessel. Robert Roberts 59 above a Trinity Pilot lived at Black Point with wife Ann 46, children John 21, a draper's assistant, Williams 16 a sailor, Jane 14 a dressmaker, Margaret 12, Mary 9, Henry 7 and Grace 4. All were Penmon born. Pilot William Pritchard 36 also lived at Black Point with his family. He and his wife Elizabeth 35 were from Llangoed. John 11 and Margaret A 8 were born when they lived at Holyhead, but Mary 5 and Henry 1 were both Penmon born. Boat Proctor Jeremiah Griffiths 68 lived on Puffin Island with his wife Grace 55 of Beaumaris, sons Jeremiah 29, also a boat proctor, and Robert 24 a joiner. Both were born when the couple lived in Bangor. The final entry on the 1891 census for Penmon relates to Trecastle Farm. Living there was farmer Griffith Roberts 32 of Llanfair ME, his wife Catherine 35 relative Ann Cameron70 and widowed, both of Scotland, his children Ann Ellen C.7, William 5, Maggie S. 4,Griffith 3 all of Penmon. Ellen Williams 26 an agricultural servant and Mary Roberts 16 both of Llangoed worked there with William Owen 22 of Amlwch, John Jones 23 of Llanfaes and John Doyle 16 of Llangoed. This completes the 1891 census of Penmon. The first entry on the census relates to an unhinhabited property. Joseph Steer 50 lived at Menai Lighthouse and employed as a lighthousekeeper with wife Susannah 53, both of Bovey Tracey, Devon and family Triphenie 19, a teacher of sewing, born Harwich, Ebenezer C. 11 born Guernsey, and Annie Laurie 8 born Start Point, Devon. Records indicate that the STEER family lived in Bovey, Devon for well over 500 years. The surname itself is believed to be Anglo-Saxon in origin and derives from Sture or Stiur, meaning a young ox (Baring-Gould, 1910). Over the centuries few Steer's seem willingly to have left the town. Among the several who did, Joseph Steer was in 1869 a Trinity House Lighthouse keeper in Guernsey, in 1871 he, with his large family, was at the Start Point Lighthouse Devon and in 1881 at the Menai Lighthouse off Anglesey. James Woodruff 23 was also a lighthouse keeper at Menai Lighthouse where he lived with his wife Maria E. 23.
where he worked as a Pilot. His wife Elizabeth was 52. Margaret 9 were all scholars. All were born in Penmon. Dec. 6 1897 aged 26 years. I shall not want. "Psalm 23, 1 verse. "Till we all come". Ephesius IV.13. Also working as a Pilot was John Williams 58 of Penmon. Wife Ellen also 58 was from Llangoed. Jane 4 and Margaret 2. To call her hence away. who died Nov. 14th 1894 aged 28 years. Catching rabbits was an occupation taken up by Hugh Thomas 62 who lived at Refail. He and his wife Jane 42 were from Beaumaris, but their family were born in Penmon. Richard 20 was a stone mason, Margaret was 15, Mary 12, Hugh 10 and William 4 months. who died August 1892 aged 31. Robert Williams 56 farmed Tan y Fron, and was Penmon born. Wife Grace 34 was from Llanddyfnan, and children John 12 and Mary Ann 7, from Penmon. William Hughes 16 was an indoor farm servant of Llanfair PG and general servant Grace Thomas 22, from Penmon. Park Penmon housed park keeper John Williams 24 and his family. His wife Sarah was 35, and their children were Esther 5, Grace 3, Annie 2 and Thomas 9 months old. All were born in Penmon. General servant Mary Hughes 24 was from Llangoed. General Servant Elizabeth Williams is recorded as living on her own at Marble Quarry. She was from Bangor. Barricks housed blacksmith Griffith Hughes 35 from Llanerchymedd. His wife Ellen 40, children Ellen 10, Ann 8 and Thomas 6, were born in Beaumaris, but Elizabeth 4 and Griffith 1 were from Llangoed. Weir keeper John Williams 54 and his family lived at Gorad. Wife Elizabeth was 54, daughter Catherine 29 was a haousemaid, daughter Mary Ellis was 21, sons William 11 and Hugh 8 were all Llangoed born. Grandson Henry Williams 3 and granddaughter Elizabeth Ellis 6 months were from Penmon. Also recorded at Gorad was widow Jane Owen 49, formerly a gardener's wife, John Owen 20 a stone mason and domestic gardener Griffith 18. All were from Beaumaris. Agricultural labourer Griffith Roberts 21 lived at Tre Castle Farm. He and his dairymaid Margaret Jones 50 were from Llanfairmathafarn Uchaf. General servants Mary Jones 14, William Jones 26 and Hugh Thomas 16 were from Llangoed, and Richard Jones 18 from Rhosfawr. Living at Pentir were stonemason John Roberts 39 of Llangoed and his family. His wife Ellen 30 was born at N Cuckney, Mary Jane 16 in Witwell, Derbyshire, Thomas H 7 in Witwell, Derbyshire, Margaret 5 in Bangor, Harriet 3 and Winifred 1 month, both in Penmon. Stone quarry man Owen Thomas 29 of Llanddyfnan lived at Tyddyn Rheinallt, with wife Mary 28 and May 3, both born in Penmon. Mother Grace Williams 69, a former keeper's wife of Llanfihangel lived with them. William Baker 29 was an agricultural contractor from Llandegfan, who lived at Ty Gwyn with wife Mary 28, children Anne 7, William 5 and Margaret 3 all of Penmon. Mother Mary Williams 76, a former agricultural labourers wife, from Pentraeth, lived with them. Berth Groes (?) housed agricultural labourer William Williams 38 and wife Jane 48, both of Llangoed. Pentraeth born Mary Williams 81, William's mother lived with them. Ty'n Caeau was uninhabitted at the time of the census. Widow, and former joiner's wife Mary Hughes 54 lived at Pen Groes with her daughter Margaret 28, a dressmaker. Both were from Llangoed. Tan Cae housed Lewis Jenkins 26 from Cheshire. His wife Ann 24 and young Seiriol 5 months old, were born in Penmon. Also recorded at Tan Cae was Thomas Jenkins 60, widowed who was a cowman and general sevant Elizabeth 27 both born in Llangoed. John 24 was a joiner, Ellen 22, also a general servant and Tailor Thomas 17 - all three were Penmon born. Owen Jones 30 a stone quarry man lived at Cae Merddyn (below) with his wife Elizabeth 23, and sons Joseph L 3 and Owen 6 months. His brother Joseph 16 a farm servant, was also living there. They were all Penmon born. John Jones, Cae Merddyn, Penmon, was summoned by P.C. David Jones, Llangoed, for being drunk and riotous at Llangoed on the 23rd ult. Fined 5s and costs. ef aeth ymaith ac efe gilia fel cysgod ac ni sa ale"
The first of three households at Caim consited of domestic gardener Evan Parry 37 of Llandegfan and his wife Jane 41 of Penmon. Son Evan 11 was born in Llangoed but Henry 8, Margaret 4 and Hugh 1 were from Penmon. Rabbit catcher Hugh Williams 47 of Penmon lived next door. Charles Goodman Roberts 27, a gardener of Penmon and his family lived at the third house. He and his wife Maggie 25 of Llangoed had a daughter Maggie 4 born in Liverpool, but son Joseph T 1, who would later fight in the Boer War, was born in Beaumaris. John Jones, who lived at Caim in May 1887, was fined 1/- at Menai Bridge with costs of 11/6, for being drunk. If the fines were not paid immediately, he faced imprisonment in Caernarfon with hard labour. Humphrey Jones 37, an agricultural labourer of Llanedwyn lived at Cae Perllan. His wife Mary 28, was from Cwm y Glo, Caernarfonshire. Their children Margaret 11, Elizabeth 10, Ellen 8, Humphrey 5, Jane 4 and William 2, were all Penmon born. Ty'n Ardd accommodated potter John S Leerum 74, of Castle Bar. His wife Mary 78 was from County Mayo and granddaughter May 17, from Llanfaes. Evan Bebb 25, an agricultural labourer of Llanfaes, his wife Ellen 29 of Llangoed and daughter Jane 7 months of Penmon, lived at Wylfa. Bryn Caim housed Price Lloyd 35, an agricultural labourer and dressmaking wife Elizabeth 39, both of Penmon, lived at Bryn Caim. Another Bryn Caim family was that of Hugh Rowlands 89, of Llangoed, and Margaret 69 of Penmon. Bryn Caim also had widow Margaret Hughes 65, a former labourer's wife of Penmon and daughter Ellen 23 of Llangoed, living there. Gardener John Hughes 55 of Llaniestyn and his wife Mary 57 of Llangoed, lived at Pen Parc. Penmon born John Hughes 27, wife Agnes 29 of Greenwich and Margaret H. 1 of Llangoed, lived at Pen Fron. John Hughes writes, 'My great grandfather and namesake is the person living at Pen Fron. His mother Margaret and sister Ellen are at Bryn Caim, above. In 1901. he was a baker at 17 Wexham Street, Beaumaris. 1871 shows Margaret and her husband Robert living at Bryn Caim'. in Bryngwran and his wife Ellen 43 in Penmon. Llangoed born, but baby Mary I, 1, in Penmon. Lydia Baker 19, was from Llandegfan. Dressmaker Jane Williams 59 of Llangoed, lived on her own at Ty Newydd. The 92 acres at Tyddyn Crwn was farmed by Thomas Hughes 75 and his wife Ann 73, both of Llangoed. Their daughter Jane 43 and Elizabeth Hughes 40, a visitor were both Penmon born. Elizabeth Jones 17, a general servant, was from Llanrug. wife Margaret 64 came from Llanfair PG. Mawrth 18fed 1893 yn 80 mlwydd oed. Ebrill 8ed 1912 yn 67 mlwydd oed. Pwll Crwn Bach was inhabited by Robert Roberts 71 an agricultural labourer and his family. Wife Jane 62 was from Penmon as were daughter Margaret 19, granddaughter Jane Edwards 9, and stone quarryman son John 26, like his father, was from Llangoed. Hugh G Roberts 49 farmed 12 acres at Pwll Crwn and was from Penmon. Daughter Margaret I. 3 was born in Llaniestyn. Hugh's sister Catherine 41 was born in Penmon, and was described as a lunatic on the census. General servant Mary Williams 18 was from Llanddona. who were all Penmon born. a domestic servant, Richard Jones 32 a coachman and Edward Owen 87, a groom. "So He giveth his beloved sleep". Agricultural labourer John Hughes 30 of Llaniestyn lived at Ty Bricks with wife and family, all born in Penmon. Wife Mary was 29, Lewis 8, John 7 and Mary 2. Unmarried William S. Williams 58 farmed 78 acres at Tros yr Afon. He came from Aberffraw. Domestic servant Elle Williams 48 fromLlanedwen, and agricultural servants Thomas Jones 16 and Henry Jones 15, both from Llangoed. Also at Tros Yr Afon were widowed former solicitor's wife Ann Williams 43 of Llansadwrn, and general servant Ann I. Williams 26 of Beaumaris. Robert Roberts was Schoolmaster and lived at School House. He was born in Llanllechid. His widowed mother Lydia Roberts 75 kept house for him. She came from Llandegai. The final entry of the 1881 census for Penmon was at Glan Llyn, where John Davies 75, described as a small farmer lived. with his wife Jane 68. Both came from Llangoed. Daughter Jane 26, lived with them. Grandchildren John R Edwards 5 and Jane A Edwards 3 were born on Manchester. Two families were recorded as living at 'Menai Light House'. Principal Lighthouse Keeper was Henry Bowen 49. He and his wife Sarah, also 49 were born in St Davids, Pembrokeshire. Their family consisted of Elizabeth, 23 from Hakin was a milliner, Esther 16 was a pupil teacher, Thomas was 13, Margaret 10 and Mary 8 and all were born in Holyhead. Son Robert J, 5 was born in Penmon. It is safe to assume that they moved to the lighthouse sometime between 1863 and 1866.
who died Oct 19th 1878 aged 57 years. "Blessed is the man whose hope is the Lord" Jer 17.7. Sept 16th 1906 aged 84 years. James Parsons 35, an Assistant Lighthouse Keeper also lived here with his family. He was born in Buckinghamshire, and his wife Mary 35, born in Willsdon. Their family consisted of Mary A. 12, born in Kilburn, James W 10, born in Bayswater, Annie M. 5, in Penmon, George E. 3 in Kilburn and Helena S. 2 in Penmon. Owen Roberts 45, Pilot lived at Black Point with his wife Elizabeth 41, son Owen 17, a Pilot boy . William 11, Henry 8, Mary 6, Robert 3 and 1 month old Elizabeth. All were born in Penmon. who died February 9th 1879 aged 27 years. aged 17 years and 8 months. "Blessed are the dead which die in the Lord". This stone is erected by the friends of JOHN ROBERTS. MARY B. MITCHELL of Lleiniog Castle. Pilot John Williams 48 of Penmon and his wife Ellen 48 of Llangoed, were also housed at Black Point. A third Pilot's family at Black Point was that of William Jones 62 of Llandegfan and his wife Ellen 45 and children Anne 15, Thomas 12 and Owen, all Penmon born. General labourer Hugh Thomas 51 and his wife Jane 32, both of Beaumaris, lived at Refail. Daughter Grace 12 as deaf from scarlet fever, son Richard was 10, Ann 8, Margaret 5, Mary 2 and Hugh 2 months. All were Penmon born. Beudy' Rychain housed another Pilot and his family. Robert Roberts 39 above, his wife Ann 26 children Grace 4, John 1 and general servant Jane Thomas 14 were all from Penmon. Gamekeeper John Williams 38 of Penmon lived at Penmon Park with his wife Grace 39 of Llanfihangel, family Mary 22, Ellen 20 and John 14 all of Penmon, and John's mother Ellen Williams 94 widowed from Llangoch. Robert Williams 46, of Penmon, farmed 49 acres at Tan Y Fron with his wife Grace 24 of Llandegfan. Their son John 2, and nephew Isaac Williams 16, a joiner were born in Penmon. General servant Ellen Williams 17 was from Coedana, and agricultural servant John Roberts 16 from Penmon. Retired Pilot John Williams 88 lived at Pwll Crwn Bach with his wife Jane 77, both of Penmon. Son in law Robert Roberts 61 of Llangoed worked as an agricultural labourer Their daughter Jane Roberts 52 and her children Owen 11 and Margaret 9 were both from Penmon. died December 22nd 1833 aged 17 years. she died January 9th 1839 aged 45.
who died January 3rd 1872 aged 90 years. Hugh O Roberts 42 of Penmon farmed Pwll Crwn. His parents Henry 72 of Bodedern,and Catherine 69 and their daughter Catherine 33 both of Penmon were living with him. Rachel Jones 16 of Holywell was their servant. GRAVESTONE INSCRIPTION; In memory of JANE ROBERTS died 20th May 1847 aged 13 years. Also MARY ROBERTS died 9th October 1847 aged 23 years. Daughters to CATHERINE ROBERTS, Pwll Crwn, Penmon. "Mae ddwy wedi gorphen ei taith a'i llafur a'i gwaith yr un nedd a Iesu. Gweddi teulu ei dyled y maent heddiw yn dawel mewn hedd". Also of CATHERINE ROBERTS who departed this life December 28th 1878, aged 77 years. Rate collector Thomas Williams 55 of Llangoed lived at Ty Gwyn with his Nevin born wife Ellen 44. Son Robert 19 a painter and Ellen 16 were born in Penmon, Thomas 11 in Llangoed and William 5 in Penmon. William Jones 86 of Penmon was a small farmer at Pwll Tywod. His wife Ann 80 came from Beaumaris and grandson Hugh Hughes 16, a farm servant, from Penmon. who died March 27th 1874 aged 89 years. died Masrch 19th 1875 aged 84. Mary B Mitchell 51, a farmer's wife from Dublin lived at Lleiniog. Seam William B. Preston 26 was a visitor from Kildare. Housekeeper Elleanor Jones 52 was from Llandegfan, parlourmaid Ann Hughes 20 from Llangoed,dairymaid Ann Hughes from Llaniestyn, coachman John Boyce 21 fromLlanwenllwyfa and stable man Robert Owen 18 from Beaumaris. Tros yr Afon housed Ann Williams 35 a farmer's wife of Llansadwrn and her brother in law John Williams 37 a solicitor of Beaumaris. Catherine Foulkes 34 of Llanystumdwy was a cook,Jane Williams 21 of Beeaumaris a housemaid, William Griffiths 17 a footman, Hugh Jones 31 a groom, both also from Beaumaris, William S. Williams 57 of Aberffraw a husbandman, Jane Davies 20 a dairymaid from Llanddona, and William Roberts 16 of Llangoed, was a labourer. who died November 14th 1871 aged 36 years. "Fear not for I have redeemeth Thee. I have called Thee by thy name; thou art mine". the beloved wife of the said RICHARD WILLIAMS Esq. who died the 13 May 1884 aged 48 years. William Parry 66, a general labourer from Penmon was head of the household at Min Y Don. His wife Margaret 66 came from Llandyfernog and 12 year old grandson John Parry was from Penmon. Dr Nigel Parry writes; My grandfather John Parry is on the 1861 and 1871 returns as a 2 and 12 year old, respectively, living with his grandparents at Caim & Min y Don. My grandfather's uncle, Hugh Parry was a sailor and appears to have been at sea during the censuses, but his wife appears on the 1871 census as Jane, daughter of Richard Thomas, Pentir, sailor's wife. Widow Jane Owen 31 of Beaumaris lived at Glandwr and worked as a washerwoman to support herr afmily Jane 12, John 11, Griffith 8 all of Llangoed, and Margaret 7 born in Penmon. Owen Owens 41 farmed the 144 acres at Trecastle farm. He came from Llantrisant. John Thomas 20 of Llanddona, and another John Thomas 19 of Llanfaes were agricultural servants and Ann Hughes 20 of Llanfair was a general servant. Widow Sarah Williams 39 of London was head of quite a large household at Trecastle. Her daughter Jane 17 was born in Guildford, Henry 16, Raymond 15 and Leonard 14 were London born. Mabel 12, Reginald 11, Ann 9, Alice 7, Annie 3 and William 1 were all born in Penmon. Her sister Augusta Holbourne 33 was London born, nurse Jane Chisholm 27 was from Llandegfan, housemaid Elizabeth Owens 23 from Bryntwrog, cook Hannah Roberts 26 from Llanfair Borth and Jane Williams 18, an underhousemaid, came from Llandysilio. Their coachman and his wife, Hugh Hughes 62 from Llanfair Borth and Catherine 67 from Llanfairllyfo, lived at Trecastle Lodge. Gardener Evan Parry 29 of Llandegfan, wife Jane 31 of Penmon and young Evan 1 of Llangoed and lived at Rhos Cottage. Vicar of Penmon and Llanfaes in the Diocese of Bangor, was Thomas W Trevor 32 born in Llanfaelog. His wife Catherine was 31 and came from Trefodraeth (1881 says Llangristiolus). 3 year old Laura was Dolgelley born and Bronwen A. 1 came from Penmon. Ellen Owen 23 of Llangadwaladr cooked for the household, Mary Thomas 23 of Trefdaeth was a housemaid and the nurse Ann Jones 22 came from Dolgelley. Griffith Lloyd 79, farmed 34 acres at Rhos. He came from Llanrhwydrhys, but his wife Catherine 76 and family Hugh 46 and Mary 46 were from Penmon. General servant Ellinor Hughes 18 was from Llanddona. 3rd day of December 1875 aged 30 years. who died the 10th day of June 1906 aged 78 years. John Davies 63 farmed Glan Llyn with his wife Jane 58, both of Llangoed. Daughter Jane 16 was from Penmon. Certificated school master William Thomas 30 of Wern Llanllechid lived at the National School. His wife Anne 30 came from Llanfair, daughter Catherine 5 from Colwyn and son John G. 3 from Penmon. Owen Rowlands 58 of Penmon farmed Bryn Mawr. Wife Margaret 54 came from Llanfair PG. their family consisting of Jane 26, Richard 24, Elizabeth 20, Owen 17, Margaret 15, Thomas 13 were Penmon born. Farm servant John Bulkeley 12 was from Llangoed. Tyddyn Crwn housed farmer's wife Esther Hughes 21 of Llangoed, Sarah Hughes 22 a generasl servant and Mary Roberts 24 a dairymaid, both of Penmon, and Owen Evans 18, a general servant from Llangoed. who departed this life May 17 1871 aged 22 years. who died January 31st 1888 aged 46 years. Dressmaker Jane Williams 46 lived alone at Ty Newydd. She hailed from Penmon. Gardener Hugh Williams 24 of Llangoed lived at Pen Fron with his Liverpool born wife Elizabeth E. 25. Penfron Bach was uninhabitted on census day. Unmarried Ellen Jones 66 of Gaerwen farmed Ty Du. Her daughter Ellen Jones 31 of Penmon worked as a dressmaker, nephew John J Jones 19 of Manchester was a shopman, and 16 year old Catherine Jones of Penmon, a general servant. Rees Lloyd 75 was a landowner from Penmon who lived at Bryn Caim. His wife Mary Lloyd 75 was from Llanllechid. Another family at Bryn Caim was that of Hugh Rowlands 79 an annuitant from Llangoed with wife Margaret 59 of Penmon. Robert Hughes 50, an agricultural labourer from Llangoed, wife Margaret 54 of Pentraeth and daughter Ellen 14 of Llangoed are also recorded at Bryn Caim. yr hwn a fu farw Mawrth 3ydd 1880 yn 60 mlwydd oed. yr hon a fu farw Rhagfyr 26ain 1893 yn 77 mlwydd oed. General labourer Richard Williams 69 of Penmon lived at Wylfa. His wife Mary 66 was from Liverpool and Margaret 3, also from Liverpool originally had nephew written against her name, which was crossed out. Niece is not recorded here. Caim shows the family of John Sheenan 65, a potter from Ireland living there with wife Mary 66 also from the Emerald Isle. Grandson and general labourer John Sheenan 15 was Bangor born. Humphrey Jones 27 of Llanedian, an agricultural labourer and his family are also at Caim. Wife Mary 28 was from Cwm y Glo, Catherine 7 and Ann 5 from Beaumaris, Mary 3 and Margaret 1, both from Penmon. Huw Williams 40 of Llanfaes, a general labourer also lived at Caim. One Caim residence was uninhabitted. Tyn Yr Ardd housed in one part annuitant Ellen Lewis 63 of Llanfair. Tyn yr Ardd also housed John Williams 30, an agricultural labourer from Penmon, wife Ellen 28 of Llanfair, William 5 born in Llanddona and Richard 1, Penmon born. John Roberts 52 of Penmon, a joiner, lived at Llain Furum with Amlwch born wife Ann 47 and daughter Ann 14 of Penmon. Owen Owens a widowed farmer from Llangoed lived at Cae Merddyn. His nephew and family lived with him. Joseph Jones was 54, an agricultural labourer from Llandegfan, wife Margaret Jones 44, born in Manchester, and Penmon born children, Elizabeth 13, John 8 and Joseph Jones 6. Ty'n Cae was in four parts. Jane Williams 35, a charwoman from Llanfaes and her son, lived in one part with her son John 10 of Penmon. The second part was uninhabitted. Edward Williams 71, a general labourer from Llanfaes lived in the third part wilh wife Mary 68 from Pentraeth and granddaughter Elizabeth 4 from Penmon. The fourth part of Ty'n Cae housed Thomas Jones 54, an agricultural labourer from Llandrwyllo, wife Mary 47 from Llandudno, Ellen 12, Mary 10 and Thomas 8, of Penmon. Both Berth y Groes and Ty Gwyn were uninhabitted on census day. John Owens 46, a coal merchant from Llangoed, lived at Tyddyn Rheinallt. His wife Margaret 42 was from Llanddona. They had two children, both born in Penmon. Laura J 1 and John aged 1 month. Pentir housed Richard Thomas a widower from Llangoed who worked as a general labourer and his daughter Jane 28, and was a sailor's wife, from Penmon. Dr Nigel Parry writes; My grandfather's uncle, Hugh Parry was a sailor and appears to have been at sea during the censuses, but his wife appears on the 1871 census as Jane, daughter of Richard Thomas, Pentir, sailor's wife. Jane subsequently moved from Penmon to Holyhead with her husband Hugh Parry, William's son, who is recorded as Chief Boatman, Holyhead Harbour, in the 1901 census. The final entry on the 1871 census relates to the uninhabitted house on Puffin Island. Owen Roberts 77, described as a late Pilot lived at Beudy'r Rychain with his wife Jane 71, both of Llangoed. Son Robert 29 was a pilot and the couple had granddaughter Jane 22 as a housemaid. Both from Penmon. died March 23rd 1864 aged 73 years. died Jan 6th 1866 aged 81 years. Brynderwen housed widow Ellen Griffith 76, a pauper from Llanfihangel. Hugh Thomas 42 was a labourer living at Ty Newydd, with his wife Jane 23. Both were Beaumaris born. Their children were Jane 4, Grace 2 and Richard 3 months, all born in Penmon. Pilot Owen Roberts 35 lived at Black Point with his wife Elizabeth 31 and children John 9, Owen 7 and William 1. All were Penmon born. Another Pilot, John Williams 37 of Penmon also lived at Black Point with his wife Ellen 37 of Llangoed. Pilot William Jones 53 of Llandegfan and his family also lived at Black Point. Wife Ellen was 35, William 19 was a sailor, John was 13, Richard 10, Ellen 7, Anne 5, Thomas 2 and Owen 10 months, all of Penmon. Menai Lighthouse had occupants John Strong 55 and wife Elizabeth 57, both of Ramsgate, in residence. GRAVESTONE INSCRIPTION; In memory of JOHN RICHARD STRONG son of JOHN and ELIZABETH STRONG of Black Point Lighthouse died July 13th 1849 aged 12 years. "For I know that my redeemer liveth and that He shall stand at the latter day upon earth and though after my skin worms destroy this body, yet in my flesh shall I see God". Also ELIZABETH ANNE STRONG the beloved daughter of JOHN and ELIZABETH STRONG who died August 9th 1859 aged 26 years. " There is therefore no condemnation to them which are in Christ Jesus who walk not after flesh, but after the spirit". Also STEPHEN STRONG son of JOHN and ELIZABETH STRONG died 20th March 1864 aged 22 years. Also occupying there was John Odgers(?) 39 of Bognor, wife Ann E. 34 of Stonehouse and young John1 of St Ives. Working at the Telegraph House was James Adams 54 of Cornwall. His wife Esther 44 was from Beaumaris, Anne 22 a dressmaker, Mary 15, Elizabeth 9 all of Penmon Jane 8 of Llanelian and Barbara 4 of Llanfaes. Quarryman Richard Thomas 64 of Llangoed, wife Jane 66 and daughter Jane 21, both of Penmon lived at Pentir. who died July 24th 1866 aged 71 years. died June 7 1877 aged 81 years. who died on board the ship "Portia"
Tyddyn Rheinallt had widower John Owen 79, an agricultural labourer residing there with son John 35, a stone merchant and housemaid Catherine Hughes 25, all of Llangoed. William Parry 47 a quarryman from Llangoed lived at Perth y Gog with wife Mary 39 of Pentraeth. Another quarryman, Thomas Jones 44 of Llandrillo lived at Tyn Y Cae with Llandudno born wife Mary 33. Their children Elizabeth 8, Catherine 6, John 4, Ellen 2 and Mary 2 months were all Penmon born. Thomas Hughes 45 of Llanddona farmed Pengroes with wife Margaret 36 of Beaumaris. Their children were all born in Penmon. Henry was 11, Margaret 4, Elizabeth 2 and Hugh 1 month. John Hughes 71 farmed Hen Dy. He came from Amlwch. Wife Ellen 70 was from Conway, William 37 from Llandegfan and Owen 21 was born in Llaniestyn. Widower William Thomas 73 of Llangoed was a pauper living at Tan Cae. Also recorded at Tan Cae was Richard Williams 59, an agricultural labourer from Penmon. His wife Mary 54 was from Liverpool, and children William 11 and Mary 1 from Penmon. Edward Williams 63 of Llangristiolus was a pauper, Mary Williams 57 of Pentraeth, Jane Williams 28 of Llangoed, and grandson John 4 months of Penmon also lved there. Owen Owens 70 and widowed worked as an agricultural labourer lived at Cae Merddyn. He was born in Llangoed. Nephew Joseph Jones 40 of Llandyfnan, his wife Margaret 35 born in Manchester, and their children Catherine 13, Margaret 5 both born in Llangoed and Elizabeth 3 born in Penmon also resided there. John Roberts 42, a toolwright from Penmon, wife Anne 38 of Amlwch and daughter Anne 4, born in Llanon, lived at Llain Furum. Caim housed mariner John Williams 40 of Amlwch. Hs wife Anne 35 and children John W. 6, Caroline 4 and Mary 3, were all born in Bangor. Also at Caim was another mariner John Jones 54 of Beaumaris. His wife Anne 42 came from Manchester and widowed Mary Jones 45 a pauper from Flint lodged with them. Agricultural labourer William Parry 56 of Penmon, wife Margaret 56 of Amlwch and grandson John 2 of Penmon also lived at Caim. John Jones 23 an agricultural labourer of Llangoed, wife Ann 25 and son John 2 both of Penmon, formed another household at Caim. John Scheenan 55, described as a potter, wife Mary 57, both born in Ireland had also set up home at Caim. Agricultural labourer John Davies 55 of Hen Eglwys, Mary 55 of Llanfihangel and Elizabeth 13 of Llanfair completed the set of families resident at Caim. yr hwn a fu farw Hydref 26ain 1861 yn 57 mlwydd oed. canys yn yr awr ni thybioch y daw Mab y dyn"
Hugh Hughes 71 of Penmon, an agricultural labourer and his blind wife Jane 58, both of Penmon, lived at Bryn. Rees Lloyd 64, a farmer from Penmon, wife Mary 64 of Llanllechid also lived at Bryn. A third household at Bryn consisted of widowed stone mason Hugh Roberts 67 of Llangoed and daughter Margaret 49 of Penmon. Widow Ellen Jones 67, described as a farmer and dressmaking daughter Ellen 23 lived at Ty Du. Both were Penmon born. John Parry 70 farmed Pen Fron with wife Jane 68. Both of Penmon. Jane Williams 35 lived at Ty Newydd with her sister Ellen 21. Both were dressmakers born in Penmon. Robert Roberts 57, a quarryman from Llangoed, where his children were also born, lived at Pen Fron Bach. His wife Jane was 43, and children Mary 15, John 6 and Owen 1. Thomas Hughes 56 farmed Tyddyn Gronw. He and his wife Anne 53, son John 27 were Llangoed born. The remaining children Jane 23, Ezra 19, Ellen 18, Mary 16, Sarah 12 and grandson John 20, a carter, were all Penmon born. Farmer Owen Rowlands 48 lived at Bryn Mawr with his Wife Margaret 44 from Llanfair PG. Owen and his family Ellen 18, Jane 16, Richard 14, William 11, Elizabeth 10, Owen 7, Margaret 5 and Hannah 3, were all from Penmon. died August 10th 1867 aged 18 years. for they shall see God". Born 7th July 1855 died 17th July 1886. Schoolmaster Thomas H Owen 24 from Llanfihangel and his schoolmistress wife Anne 29, from Llangwnadl, lived at the National School. John Williams 78, farmed Pwll Crwn Fach with wife Jane 67 and granddaughters Elizabeth Roberts 12 and Sarah 3. All were Penmon born. Henry Roberts 61 from Bodedern farmed Pwll Crwn. His wife Catherine 59, son Hugh 32, a mariner and daughter Catherine 23, were born in Penmon. Hugh Jones, 17 a carter came from Llangoed. Widowed farmer's wife, Rebecca Jones 64 of Llanedian and her daughter Margaret 37 of Bangor, lived at Ty Gwyn. Tan y Fron was farmed by widow Mary Williams 71 of Llangoed, with her son Robert 37 of Penmon. Her grandsons William 9 and Isaac 5 were born in Llanddona. Ellen Williams 19 of Penmon was a housemaid, Humphrey Jones18 of Pentraeth a carter, and John Pritchard 11 a cowman from Llanfair. John Williams writes; The 1861 Census for Tan y Fron is especially interesting to me for two reasons. Firstly the 9 year old grandson William who was at Tan y Fron in 1861 is my grandfather. Although both his parents were from Penmon, he was born in Llanddona in 1852. His parents and siblings were living at their smallholding called Flicws in Llanddona in 1861, but he was obviously with his grandmother, and other family members, at Tan y Fron. Either there wasn't enough room at Flicws, or perhaps he was already helping on the farm after his grandfather John had died, or maybe he didn't get on with his family!. The other interesting Tan y Fron entry for 1861 is another grandson called Isaac. According to the Penmon christening register he was the illegitimate son of John Jones (Servant) and Mary Williams and the address was Tan y Fron. Mary Williams died in 1859 at the age of 26. I think she may aso have had another illegitimate son called Jared, who is buried in Penmon and was the child of Owen and Mary Williams and died aged 10 in 1861. I can find no baptism record for Jared, or a marriage between Oewn and Mary Williams, and I could be wrong, but the parish burial record says Jared was from Tan y Fron, so my assumption is probably correct. Jared does not appear in either the 1851 or 1861 census returns. I don't have a birth date in 1851, so he could have missed the census, but he didn't die until November 1861 so should appear somewhere in the census of that year, but I cannot find a single Jared Williams. Isaac, who was still at Tan y Fron in 1871, and in the meantime had become a joiner. I am pretty sure that sometime after 1871 he went to sea as a ships carpenter and died in 1876. Llaniestyn born William Owen 50 farmed Ty Gwyn with his wife Alice 57, of Penmon. 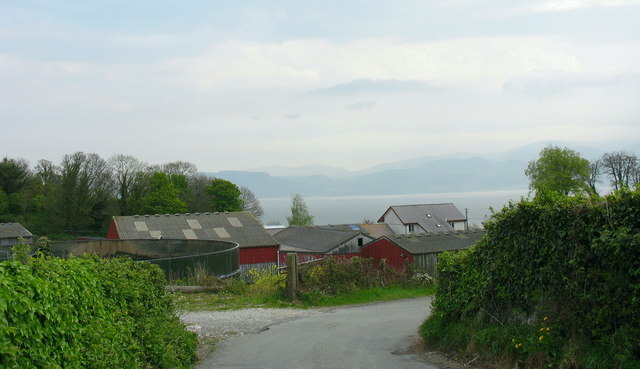 Penrhyn was farmed by Hugh Rogers 74 of Llangoed and wife Margaret 73 of Llanfihangel. William Jones 77 of Penmon farmed Pwll Tywod. His wife Anne 70 came from Beaumaris and their grandson Hugh Lloyd 7, from Penmon. Owen Jones 55 from Llanfihangel farmed Lleiniog. His wife Mary 43 came from Pen Mynydd, and their children Richard 8, John 5, Owen 5 and William 7 months were born in Penmon. Robert Jones 19 was a carter from Anglesey, John Hughes 16, also a carter from Llangoed, Henry Hughes 14 a cowsboy from Llangoed, housemaid Elizabeth Jones 23 from Aberffraw, dairymaid Jane Hughes 15 from Llaniestyn and R.E. Priestley 24 boarded there and was a curate from Llanffinan. Brickmaker William Roberts 58 was from Llansadwrn and his wife Jane 60 from Pwllheli. They lived at Min Y Don. Mason Thomas Williams 45 lived at Glandwr with his wife Dorothy 54 from Carnarvon. Mary Lloyd 3 from Beaumaris and Mary Williams 15 of Penmon also lived there. Farming Trecastle was Thomas Williams of Llansadwrn and his wife Elizabeth 48. Also there were daughter Elizabeth Rowlands 29, son John Rowlands 22, Margaret Rowlands 20, Anne Rowlands 15 and Catherine Williams 8, all Penmon born. Farm servant Anne Jones 29 and carter John Jones 23 were from Llangoed, carters Josiah Hughes 22 and William Williams 18 were from Liverpool and Pentraeth respectively. Justice of The Peace Henry O. Williams Esq, 40 and his wife Sarah 29 from London, lived at Trecastle. Daughter Jane 7 was born in Guildford, Henry R 6, Raymond 5 and Reginald A. 4 in London, with Sarah 3 and R.M. Williams 1 both in Penmon. Elizabeth Phillips 34 and Mary Williams 25 worked as housemaids, Margaret Wallace 19 as a cook, Catherine Owen 14 was a nurse, and William Williams 14 a stable boy. Henry Owen Williams Esq of Trearddur was Sheriff of Anglesey in 1859.
who departed this life on the 19th February 1869 aged 48 years. "Not lost, reached home before us"
"The memory of the just is blessed". here their loving admiration of her long life. This life she departed Feb 23 A.D. 1911 aged 78.
dwell in the House of the Lord forever". who passed away on the 17th October 1927 aged 70. Ever devotedly remembered by his wife and four children. "Thy will be donein this and all things"
who died on April 23 1935.
but by all with whom she came in contact. Penmon Parsonage housed Phillip E. Ellis of Pwllheli. His wife Ellen was from Southend, their children Ellen 4, P.C.S 2 and Henry M 1 were born in Beaumaris. Fanny Thomas 22, the cook was from Bangor, Ann Price 23 the nurse from Eastham and housemaid G.V. Thomas 20 from Llandulais. Agricultural labourer Thomas Hughes 41 from Llanrhydlan lived at Rhos Cottage with his wife Elizabeth 32, children Elizabeth 10, John 7, and Mary 6 born in Llangoed and OPenmon born Thomas 4 and Robert 1. Griffith Lloyd 69 from Llangristiolus farmed at Rhos with his wife Catherine 65, son Hugh 33, both of Llangoed. John Thomas 15 from Llanddona was a servant. The owners of Tros yr Afon appear to have been away on census day, as only the employees are recorded as living there. These were house servants Mary Williams 28 of Beaumaris, Sydney Owen 30 of Llangoed, W. Thomas Williams 40, of Aberffraw, a general servant, Margaret Hughes 22 a dairymaid from Penmon, Hugh Jones 22 of Penmon and Thomas Jones 19 of Llangoed, both outdoor servants. wife of ROBERT WILLIAMS of Tros yr Afon. She died February 18 1870 aged 36.
a gladdwyd Ebrill 17 1834 ei hoed 59. Farming Glan Llyn was John Davies 52 of Llangoed. His wife Jane 49, family Richard 21 and Thomas both tailors, Robert 15 a joiner, William 13, Ann 11 and Jane 6, were all Penmon born. John Williams 48 of Penmon was the game keeper at Park. His wife Grace 37 was from Llanfihangel, and their family were Penmon born. William was 18, Anne 16 a housemaid, Mary 12, Ellen 10, Elizabeth 8, Hefin 4. Ellen Williams 82 was John's widowed mother, born in Llangoed. The final entry on the 1861 census for Penmon simply states Penmon Church. William Jones 40 was a Trinity Pilot born in Llandegfan. His wife Ellen 26, children William 7 and John 3 were born in Penmon. Ann Bulkeley 16 was born in Llangoed. They all lived at Black Point. John Williams 27 was also a Trinity Pilot living at Black Point. He was Penmon born. His wife Ellen 26 was from Llangoed. A third Trinity Pilot was Owen Roberts 65. He and his wife Jane 57 were from Llangoed. Granddaughter Jane 12 was from Penmon. All lived at Black Point. Penmon Light Dwelling housed lighthouse keeper John Williams 45, wife Ann 42 and daughter Ann 5. All were born in Beaumaris. Also living in the lighthouse were John Strong 45, lighthouse keeper from Kent St Lawrence as was wife Elizabeth 47. Son Stephen 9 was born on the Isle of Wight. Richard Parry 79 a quarryman from Llangoed lived at Reval with wife Catherine 72 of Llaniestyn. Sons Robert 30 a mason, and Thomas 26 a quarryman were Llangoed born. House servant Jane Hughes 13 came from Penmon. Labourer Richard Thomas 54 of Llangoed and his family lived at Pentir. Wife Jane 56 was from Penmon, Hugh 32 a labourer born in Beaumaris, William 30 a mariner, Ann 18 a dressmaker 18, Thomas 16 an apprentice tailor and Jane 11 were all from Penmon. Tyddyn Rheinallt housed labourer John Owen 67, a widower and son John 36 a quarry labourer, both of Llangoed. House servant Margaret Hughes 26 was of Beaumaris. Farming Tyn y Caeau was Thomas Hughes 35 born in Llanddona , wife Margaret 30, Thomas 7, Alice 5, Jane 3 all of Llangoed. Henry 1 was born in Penmon. Margaret Evans 80 and widowed of Llanbadrig was farming Pen y Groes with Catherine 85 her sister born in Amlwch. Hen Dy was farmed by John Williams 60 of Amlwch. His wife Ellen 60 was from Conway, William 28 a farm labourer was born in Llandegfan, Grace 22 and Owen 11 were both born in Llaniestyn. Tyn y Cae housed Union Pauper Edward Williams 50 of Llanfair, wife Mary 47 and Hugh 23 a labourer, both of Pentraeth, Mary 15, Elizabeth 13 and John 11 of Llanfaes. Also at Tyn y Cae was labourer William Parry 46 of Penmon, wife Margaret 46 of Llandyfyrnog, Margaret 12 of Beaumaris, Hugh 10 born in Llandegfan and Elizabeth 7 of Llangoed. GRAVESTONE INSCRIPTION; Er serchog cof am HUGH PARRY anwyl blentyn WILLIAM a MARGARET WILLIAMS, Pall Mall, Liverpool yr hwn a fu farw Hydref 25 1879 yn 3 blwydd a 6 mis oed. "Bugail Israel sydd ofalus, Am ei deynaer anwyl wyn, Mae'n eu galw yn groesawus: Ar yn eu cofleidio'n fwyn". Hefyd am JANE, baban WILLIAM a MARGARET PARRY, Ty'n Y Cae, Penmon a fu farw yn 1852. A third family at Tyn y Cae was that of Richard Williams 50, a labourer of Penmon. Wife Mary 44, Elizabeth 15, Margaret 12, John 10, Richard 8, Ann 6 and William 2 were all born in Pentraeth. Widow and cottager Ellen Parry 74 of Llanfair Hafan Etheyrn lived at Cae Merddyn. Jane Hughes 76, widowed and a farmer lived at Caim with son Hugh 48 both of Penmon. Lewis Thomas 19 and Robert Thomas 16 were farm servants from Llangoed, and Catherine Thomas 21 was a house servant from Llanfaes. GRAVESTONE INSCRIPTION In memory of HUGH HUGHES, Caim in this parish who died March 27th 1857 aged 55 years. Also of HENRY son of HENRY and CATHERINE ROBERTS of Pwll Crwn in this parish, who died January the 9th 1866 aged 21 years. Also of HENRY ROBERTS, who departed this life October 27 1875 aged 77 years. GRAVESTONE INSCRIPTION; Underneath lieth the remains of OWEN HUGHES of Caim in this parish who died 9th May 1799 aged 82 years. Also MICHAEL HUGHES of Caim who died 12th February 1839 aged 83 years. "Tydi ar dy daith, mi ddoi dithau". Also JANE wife of the above MICHAEL HUGHES who died 7th day of April 1854 aged 80 years. A seaman pensioner, Robert Williams 70 of Pwllheli lived at Bryn Caim with his son Thomas 34 born in Llangoed, who was a labourer, and Thomas' family, wife Ellen 26 of Nevin and their son William 7 born in Liverpool. Labourer William Parry 37 of Llangoed and wife Mary 29 of Pentraeth also lived at Bryn Caim. Ty Du housed Catherine Jones 70, a farmer, daughter Ellen 46 and granddaughter Ellen 12, all of Llanidan. GRAVESTONE INSCRIPTION; Er cof am JOHN JONES Ty Du yr hwn a fu farw Hydref 18 1853 yn 47 oed. Also WILLIAM the beloved son of OWEN and ELLEN HUGHES, Ty Du, Penmon who died February 6th 1898 aged 22 years. "The sun went down while still it was noon". Ty Newydd housed Owen Williams 57 of Llanfairanaethwy, wife Ellen 55 and dressmaker daughter Jane 29 both of Llangoed and Ellen 11 of Penmon. Labourer Richard Jones 33 of Beaumaris was also there. John Hughes 49, a labourer and his wife Alice 41, a washing woman, both of Conway, lived at Penfron Bach. Farming Tyddyn Crwn was Thomas Hughes 46, wife Ann 43 and family Margaret 21, Thomas 19, John 17, all born in Llangoed, Ezra 10, Ellen 8, Mary 6, Elizabeth 5 and Sarah 2 all born in Penmon. Formerly a farmer's wife, widow Catherine Hughes 88 of Pentraeth was lodging with the family, who were helped by house servant Ann Jones 24 of Llanon and farmer's labourer Richard Thomas 18 of Llangoed. Bryn Mawr was farmed by Owen Rowlands 37 of Penmon, where all his children were also born. Wife Margaret 34 was born in Llanfair PG and their family consisted of Margaret 10, Ellen 8, Jane 6, Richard 4, William 2 and Elizabeth, who was just 9 days old. Farmer and grocer Catherine Roberts 49 and daughter Catherine 12, both of Penmon, lived at Pwll Crwn. GRAVESTONE INSCRIPTION; In memory of HUGH HUGHES, Caim in this parish who died March 27th 1857 aged 55 years. Also of HENRY son of HENRY and CATHERINE ROBERTS of Pwll Crwn in this parish, who died January the 9th 1866 aged 21 years. Also of HENRY ROBERTS, who departed this life October 27 1875 aged 77 years. Retired Trinity Pilot John Williams 68, wife Jane 57, Richard 24, a mason, Thomas 22 a labourer and Ellen 19 a dressmaker, all of Penmon also lived at Pwll Crwn. Tan y Fron Cottage housed joiner William Hughes 80 of Penmon and his Beaumaris born wife Margaret, 84. Mary Williams 61, farm Tan Y Fron farm. She was born in Llangoed. Her family were all born in Penmon. Hugh was 33, Robert 26, both farming, Elizabeth 21 was a sailor's wife, Mary 18. Owen Roberts 25 of Penmon and Robert Jones 67 of Llangoed were both mariners, and John Williams 12 of Llangoed was a cowman. Rebecca Jones 53 of Llangeirwen farmed Ty Gwyn with Margaret 29 born in Bangor and farm labourer Thomas Jones, 34 of Llandrillo. Owen Jones 45 of Llanfihangel farmed Lleiniog with house servant Mary Glynn 29 of Penmynydd, and Miriam Jones 18 of Llangoed. Thomas Owen 22 and John Williams were from Llanddona and William Williams 21 from Llangared (?) were farm labourers, with John Parry 16 of Llanfared, a cowman. William Jones 66 of Penmon farmed Pwll Tywod with wife Ann 58 of Beaumaris. John Roberts 80 of Llanedian was a fishmonger, living at Glan Dwr with his wife Dorothy 48, very much his junior from Carnarvon, house servant Ann Jones 16 of Llanddona and fisherman Robert Hughes 25 of Llangoed. Farming 160 acres at Trecastle was Thomas Williams 38 of Llansadwrn, his wife Elizabeth was 38. Elizabeth Roberts 16 was from Hen Eglwys, John 14, Margaret 12, Hugh 10, and Ann 5 were born in Penmon.House servant Grace Owen 25 was born in Llandegfan, John Jones 21 from Rhiwabon, John Prichard 17 from Llangoed, Wyn Thomas 18 from Liverpool and Thomas Jones 16 of Llangoed were all farm labourers. Trecastle was inhabited by John Roberts BA Oxon 47, Curate of Llanfaes and Penmon, Clergyman born in Denbigh. Wife Catherine 30 was Liverpool born, son J. Llywellyn 14, born in Denbigh, Mary Jane 12 and Herbert 11 in Yspyty Ifan and Emily Elizabeth 5, in Llanfihangel GM. Retired carrier and turner Richard Lewis 46 of Beaumaris lived at Rhos Cottage, with his wife Eleanor 49 of Llandwrog, and children Richard 14, Robert 12 and John 7, all Beaumaris born. Rees Lloyd 53 of Penmon farmed Rhos with wife Mary 53 of Llanllechid. Farm labourer William Solomon 37 of Aberffraw lived at Tros yr Afon with other farm labourers Hugh Williams 20 of Llanfaethlog, Hugh Thomas of Llanidan, John Jones 14 of Llangoed. House servants were Mary Roberts of Llandudno and Llangoed born Elizabeth Thomas. Farming Glanyllyn was 42 year old John Davies and wife Jane 38 both of Llangoed. Their children Richard 12, Thomas 9, Robert 7, William 3 and Ann 16 months, were all Penmon born. Joiner John Roberts 32 and his blind wife Jane 42, both of Penmon, lived at Llain Furum. Widow Jane Owen 72 of Llangoed and son William Owen 39 born in Llaniestyn, a quarry labourer, lived at Ty Gwyn Cottage. Joiner John Parry 72, wife Ann 68 of Llandefynog and house servant Elizabeth Parry 26 born in Pen Rhos Bridge, resided at Perth y Gog. Widowed farmer Hugh Rogers 60 of Llangoed was at Pen y Bryn with son Thomas 21 of Penmon and Elizabeth Williams 21 of Llangoed. Beudy'r Ychain Cottage housed widow Elin Griffith 62 of Llanfihangel and son Edward Owen 21. a quarry labourer born in Penmon. Quarry labourer Robert Lloyd 40, wife Jane and family Elin 15, John 9, Owen 4 and Elizabeth 2. All were born in Penmon apart from Jane who was born in Llanddona. Penyfron was occupied by John Parry 58 a quarry labourer and his wife Jane 56, both of Penmon. Hugh Hughes 58 and widowed, lived at Bryn Caim. He was a labourer from Penmon. Elizabeth Williams 72 and widowed of Llangoed lived at Penmon Park. Her Penmon born son John 37 was gamekeeper and lived there with his wife Grace 39 of Llangenrhyd, and family Wiiliam 8, Ann 6, John4 and Mary 2 all of Penmon. Margaret Jones 20 was a house servant from Llangristiolus. 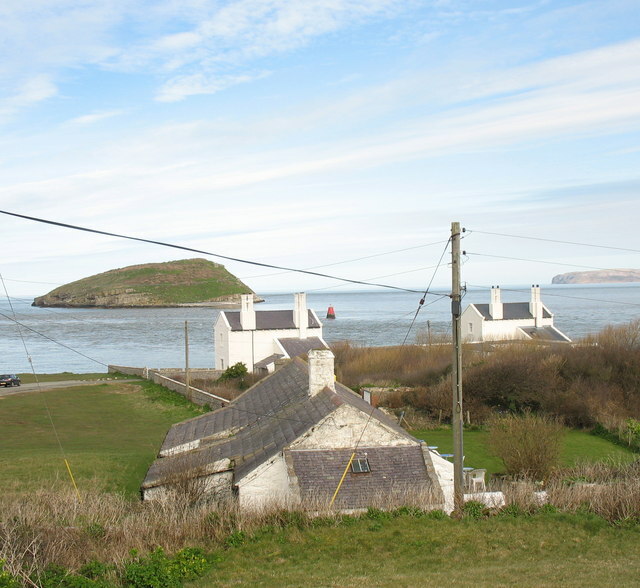 Puffin Island Telegraph Station housed signalman James Adams, his wife Esther 34 of Beaumaris, and family Ann 12, Henry 18, Hugh 8, Mary 5 all born in Penmon. His sister in law Barbara Jones 32 was visiting with her family of William 6, Robert 3 and Morris 11 months, all Bangor born. William Mathias 15 of Cheshire worked there as a signalman. That household completed the 1851 Penmon Census. The 1841 census only recorded the county of birth. I have omitted these details. Ages were generally recorded in multiples of five years, hence so many being 40 45 or 50 etc.. Family relationships were not recorded. Completed in pencil and some of the handwriting is unclear. Apologies for any errors. The census starts with Elinor Williams 40 living at Park with John Williams 25 a keeper, Elinor 15, Hugh Thomas 20 an agricultural labourers and Mary Jones 15. 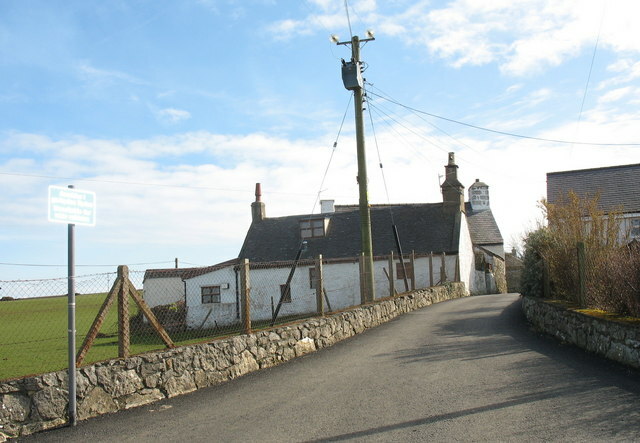 Living at the 'Parochial place named Puffin Island, were signalman James Adams 34, Esther 25, Ann 2, Henry 7 months, farm servant Jane Jones 11 and another Jane Jones, 55. William Rowland 25, farmed Trecastell. Also living there were Elizabeth 25,Elizabeth 6, Margaret 3 and Hugh 1. Agricultural labourers working and living there were John Rowland 25, Thomas Lewis 20, John Williams 15, Thomas Owen 20. Lydia Hughes 20 and Ann Hughes 15 were house servants. Thomas Hughes 50, an agricultural labourer and Jane Hughes 55, lived at Rhos Cottage. Hugh Hughes 45, lived alone at Tyn y Wal. Fisherman John Roberts 65 lived at Glandwr with Elizabeth 70, Charlotte 40 and Elizabeth Parry 15, a house servant. Rees Lloyd 40 farmed Rhos with Mary 40, Rees 11, Richard 9, Robert 4 and Elizabeth 2. Jane Roberts 20 was a house servant. Glanllyn was farmed by John Davies 30, Jane 25, Richard 1, with agricultural labourer Robert Williams 30 and house servant Margaret Molloy 11. William Solomon 30, lived at Tros yr Afon with William Williams 19, Hugh Hughes 18, Thomas Prichard 14. All were agricultural labourers and Mary Griffith 28 and Abigail Jones 15, house servants. Pwll Tywod was farmed by William Jones 55, Anne 45 and Jemima 13. Richard Owen 25, an agricultural labourer lived at Lleiniog, with Richard Jones 20, Ebenezer Jones 15, Hugh Hughes 15, also agricultural labourers, and house servants Jane Jones 20 and Mary Jones 20. Evan Williams 65 lived at Tyn Lon. He is described as a Navy P.. The house servant was Catherine Hughes 25 and Owen Hughes 8 also lived there. Farmer Rebecca Jones 40 lived at Ty Gwyn, with William 10, and Rebecca 7. Wheelwright Richard Hughes 20, Margaret Hughes 15 and agricultural labourer Thomas Jones 25 made up the household. Richard Richards 60, described as a publican, lived at Pwll Crwn with Anne 60, Jane 25 and wheelwright John 20. Ellen Jones 35, a farmer lived at Tan y Fron with Martha Williams 14. Agricultural labourer John Owen 55 lived at Glanymor with Lowry 55, John 15 and house servant Mary Hughes 12. Farming at Penybryn was Hugh Rogers 50, with Elizabeth 25, Owen 15 an agricultural labourer, Eleanor 13 and Thomas 11. Wheelwright William Hughes 65 and Margaret 70, lived at Tan y Fron. Also at Tan y Fron was John Williams 60 a farmer, Mary 50, Hugh 20, Robert 15, Elizabeth 11 and Mary 8. Hannah Prichard 15 was also there. GRAVESTONE INSCRIPTION; Coffadwriaeth am JOHN WILLIAMS, Tan y Fron yn y plwyf hwn, yr hwn a fu farw Chwefror 18 1846 yn 68 oed. Hefyd MARY merch JOHN a MARY WILLIAMS fu farw Mawrth 25 1859 yn 26 oed. Hefyd MARY, gwraig JOHN WILLIAMS fu farw Mai 13 1864 yn 74 oed. Coal merchant Henry Roberts 40 lived at Pwll Crwn with Catherine 35, Hugh 13, Henry 9, Jane 7, Kitty 2 and house servant Mary Jones 15. GRAVESTONE INSCRIPTION; In memory of JANE ROBERTS died 20th May 1847 aged 13 years. Also MARY ROBERTS died 9th October 1847 aged 23 years. Daughters to CATHERINE ROBERTS, Pwll Crwn, Penmon. "Mae ddwy wedi gorphen ei taith a'i llafur a'i gwaith yr un nedd a Iesu. Gweddi teulu ei dyled y maent heddiw yn dawel mewn hedd". Also of CATHERINE ROBERTS who departed this life December 28th 1878, aged 77 years. Agricultural labourer Edward Owen 50, Eleanor 50, Edward 11 and Mary 8 lived at Beudy'r Ychain. Also at Beudy'r Ychain was Robert Lloyd 30 an agricultural labourer and his family of Jane 30, Ellen 5, Sydney 3, with Catherine Hughes 15 and house servant Ellen Jones 16. Richard Thomas 40 another agricultural labourer also resided at Beudy'r Ychain with his family Jane 45, Margaret 15, Richard 15, Robert 14, Ann 8, Thomas 6 and Jane 2. Ty Newydd Black Point was occupied by quarryman Richard Parry 65, Catherine 60, William 25, Robert 20, Thomas 15 and Ellen Hughes 16. Pilot John Williams 55 lived at Black Point with Jane 45, Hugh 13, Owen 11 and Eleanor 9. Owen Roberts 55, also a pilot lived at Black Point with Jane 45, William 10, Robert 9 and Owen 4. Lighthouse keeper Thomas Wallace 41 lived at Black Point with Ann 41, Ann 10, Jane 8, Margaret 5 and house servant Margaret Roberts 25. There were painters in residence too, they were William Tabb 25, William Sweet 30, William Beer 20 and Richard Evans 40. Thomas Williams 30, an agricultural labourer resided at Pentir with Mary 30, Anne 14, John 12 and Mary 11. Another agricultural labourer Richard Williams 35, Mary 30, Elizabeth 5, Margaret 2 and John just 10 weeks old lived at Tynywal. Lighthouse keeper George Christopher 30 lived at Black Point with Sarah 30, Georgina 7, Susanna 4, John 3, Sarah 15 months and Mary Lens 14. Farmer John Owen 70, Jane 60, William 25 an agricultural labourer, Elizabeth 20 and Ellen 20 lived at Ty Gwyn. Thomas Hughes 35 farmed Tyddyn Crwn. Living there too were Ann 30, Catherine 13, Margaret 11, Thomas 9, John 7, Ann 5, Jane 3, William 18 months and Ezra 7 weeks old. William Williams 15 and Robert Williams 15 were agricultural labourers and Lucretia Thomas 15 a house servant. Margaret Evans 65 living on independent means lived at Penygroes with Catherine 15, a mantual maker, and house servant Mary Owen 15. Farmer Rowland Jones 76 lived at Hen Dy with Catherine 68, Griffith 15 an agricultural labourer and house servant Margaret Thomas 16. Agricultural labourer John Jones 30 and Ellen 30, lived at Llain Furum. Caim housed Jane Hughes 65, a farmer, Hugh 40, William Williams 15 an agricultural labourer, house servant Margaret Williams 25 and manual servant Thomas Williams 12. Farming Ty Du was David Jones 55, Catherine 55, Catherine 15, Owen Roberts 11 an agricultural labourer and Ellen Rowlands 3. Pen y Fron was farmed by John Parry 50, Jane 45 and Margaret Williams 10. Robert Roberts 25 an agricultural labourer and Jane 20, lived at Tyn y Caeau. Agricultural labourer John Hughes 40 and Alice 30 were at Pen y Fron Bach. Agricultural labourer Owen Williams 40, Ellen 40, Jane 20, Emma 14, Richard 8, Margaret 6 and Ellen lived at Ty Newydd. Bryn Mawr was farmed by Richard Rowland 60 , with agricultural labourer Owen 25, Margaret 20, Margaret 9 months, house servant Jane Griffiths 25 and agricultural labourers William Williams 15 and Richard Thomas 13. Mason Hugh Hughes 30, Jane 30, Catherine 10, Margaret 8, Jane 4 and John 4 months lived at Bryn. I am grateful to Roger Brunning for supplying the following information on Penmon born Jane Rees, who married Hugh Hughes. KD. Thank you for contacting me. I have quickly scanned the website and found Jane as the wife of Hugh Hughes of Bryn, Penmon in the 1841 census, this I had already seen. Hugh HUGHES and Jane REES married in Jul 1832, Hugh is believed to be from Holyhead whilst Jane was a Penmon girl. They set up home at Bryn and had the 4 children shown in the 1841 census. The 1851 census shows them to be at Brittannia Bridge with another 5 children, making 9 in all. These are my wife's g-g-grandparents. Their daughter Margaret HUGHES married Owen Robert ROWLANDS of Llanrug in 1862 and they had 7 children: they were bakers and confectioners in Bangor. Their oldest son, Robert Evan ROWLANDS took Holy Orders and ended up in St George's Super Ely, Cardiff. His younger brother Hugh Owen ROWLANDS married a Pentreath girl, Mary OWEN and Robert Evan must have returned for the wedding as 2 years later he married Mary OWEN's younger sister Margaret OWEN: they moved back to the vicarage in Cardiff and raised 4 boys, the eldest of which was my father-in-law. Other Anglesey ancestors were from the LLangristiolus area, one of which was Richard OWEN, a Calvanistic Methodist Minister who married Ellen Evans of Aberffraw. In the 1871 census they are shown to be living at Penrhos House, Pentraeth. A further 2 residences under Bryn were uninhabited. 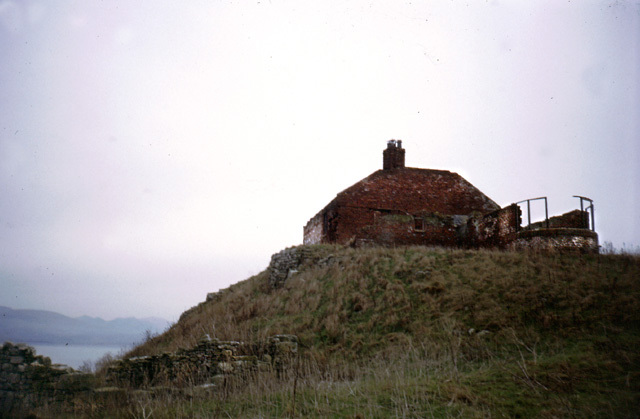 Berthygog housed wheelwright John Parry 55, Ann 55 and Elizabeth 20. Pilot William Jones 30 and Ann 30 lived at BlackPoint. Widowed farmer Ellen Parry 60 of Llanfair Hafan Etheyrn lived at Cae Merddyn. This completes the 1841 census for Penmon.